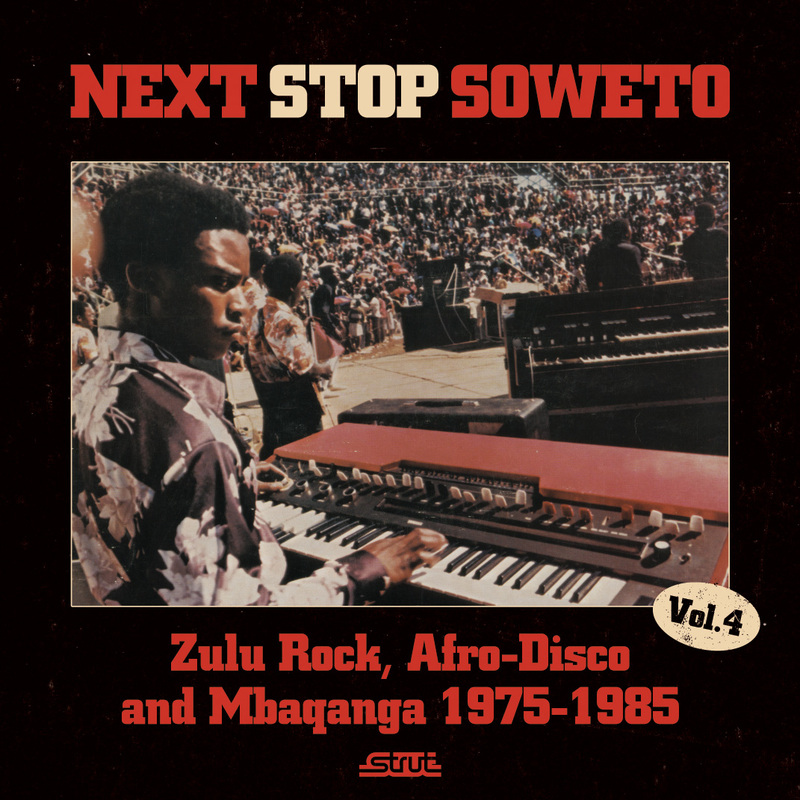 The fourth volume of Strut’s essential Next Stop Soweto series focuses on the decade before the world music boom (and especially Paul Simon’s Graceland) shone an international spotlight on South African music. These are artists who have barely been heard in Europe and the USA (it’s the first international release for all tracks here) owing to the vagaries of history and not of quality, which is excellent throughout this collection. As the title suggests, there are three different styles of music here. Mbaqanga was on its way out of fashion by 1975 – track 2 is the unadulterated item, 1 is a hybrid with rock ‘n’ roll, and 6 adds both electric organ and synthesizer to the genre. The Afro-disco sound is what Americans would call boogie or bounce; the term frequently used in South Africa is “bump jive.” 8 is by The Movers, the quintessential bump jive band; 13 is a classic of the genre. Zulu rock is represented here by 10 and 11, two extended tracks with jazzy soloing and breaks that call to mind Ghana’s Osibisa and South Africa’s Malombo. Kudos to all involved in this superb release and series.